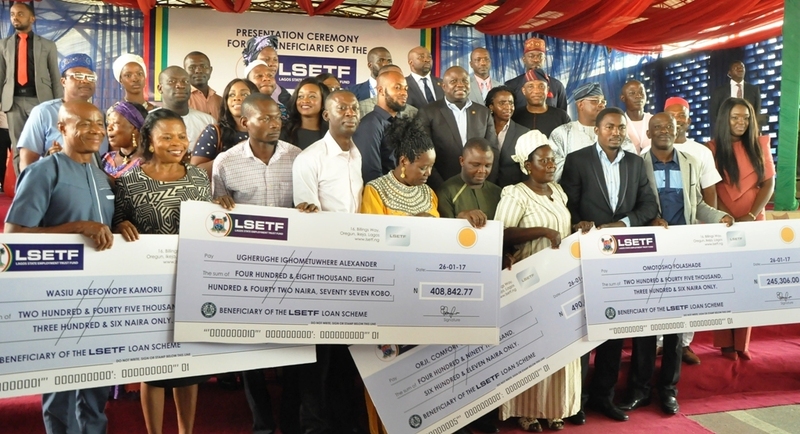 Lagos State Governor, Mr. Akinwunmi Ambode, in a group photograph with Board members of the Lagos State Employment Trust Fund (LSETF) and Beneficiaries of the ETF Loan Scheme during the LSETF Cheque Presentation ceremony to the beneficiaries at the LTV Blue Roof, Agidingbi, Ikeja, Lagos on Thursday, January 26, 2017. 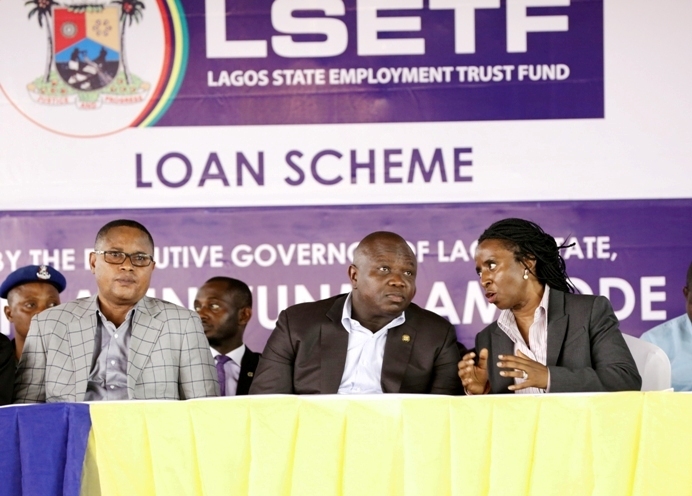 Lagos State Governor, Mr. Akinwunmi Ambode (middle), with Board members of the Lagos State Employment Trust Fund (LSETF), Mrs. Bilkiss Adebiyi-Abiola; Executive Secretary, Mr. Akintunde Oyebode; Chairman, Mrs. Ifueko Omoigui-Okauru and Mr. Dele Martins during the LSETF Cheque Presentation ceremony to the beneficiaries of the Loan Scheme at the LTV Blue Roof, Agidingbi, Ikeja, Lagos on Thursday, January 26, 2017. 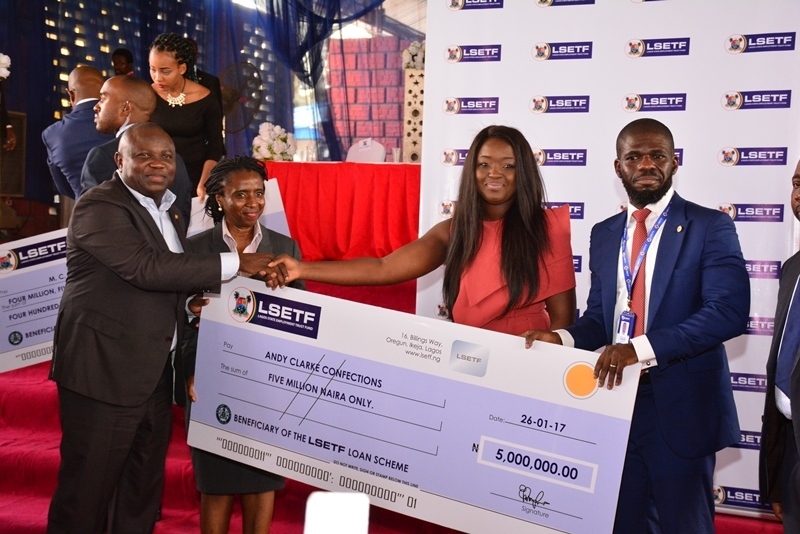 Lagos State Governor, Mr. Akinwunmi Ambode; Chairman, Lagos State Employment Trust Fund (LSETF), Mrs. Ifueko Omoigui-Okauru; Beneficiary, Mrs. Adetola Akitoye of Andy Clarke Confections and Executive Secretary, LSETF, Mr. Akintunde Oyebode during the LSETF Cheque Presentation ceremony to the beneficiaries of the Loan Scheme at the LTV Blue Roof, Agidingbi, Ikeja, Lagos on Thursday, January 26, 2017. 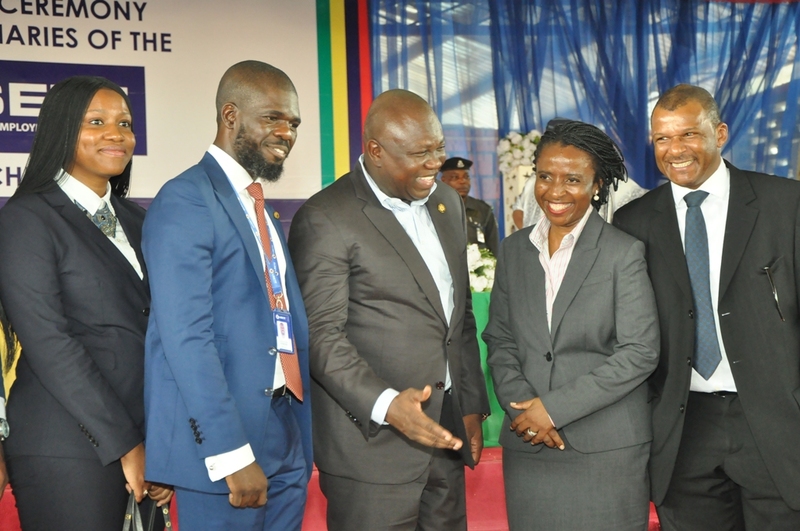 Lagos State Governor, Mr. Akinwunmi Ambode (2nd right), with Deputy Speaker, Lagos State House of Assembly, Hon. 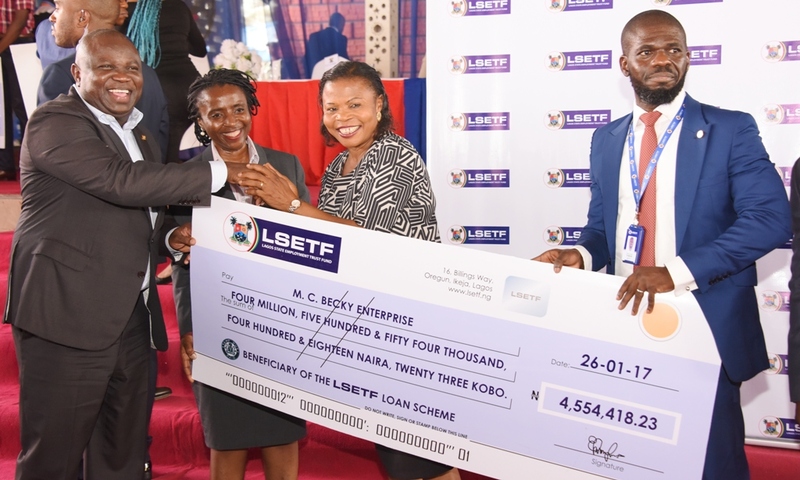 Wasiu Eshinlokun Sanni (2nd left); Secretary to the State Government, Mr. Tunji Bello (left) and Chairman, Mrs. Ifueko Omoigui-Okauru (right) during the LSETF Cheque Presentation ceremony to the beneficiaries of the Loan Scheme at the LTV Blue Roof, Agidingbi, Ikeja, Lagos on Thursday, January 26, 2017. 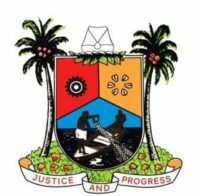 Lagos State Governor, Mr. Akinwunmi Ambode; Chairman, Lagos State Employment Trust Fund (LSETF), Mrs. Ifueko Omoigui-Okauru; Beneficiary, Mrs. Chinyere Rebecca Ezike of M.C. Becky Enterprise and Executive Secretary, LSETF, Mr. Akintunde Oyebode during the LSETF Cheque Presentation ceremony to the beneficiaries of the Loan Scheme at the LTV Blue Roof, Agidingbi, Ikeja, Lagos on Thursday, January 26, 2017. 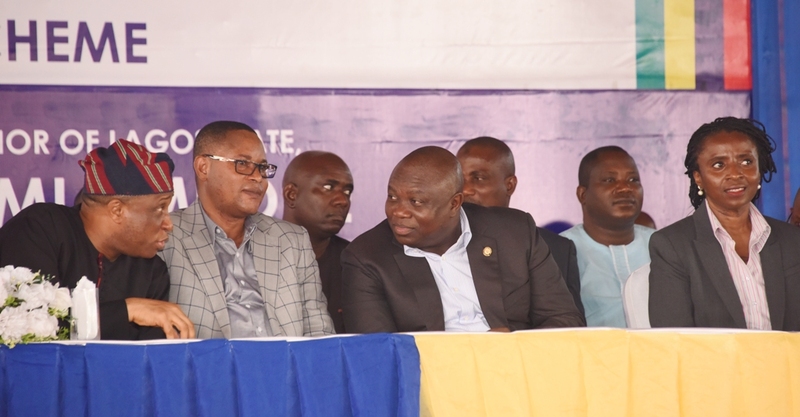 Lagos State Governor, Mr. Akinwunmi Ambode (middle); Chairman, Mrs. Ifueko Omoigui-Okauru (right) and Deputy Speaker, Lagos State House of Assembly, Hon. Wasiu Eshinlokun Sanni (left) during the LSETF Cheque Presentation ceremony to the beneficiaries of the Loan Scheme at the LTV Blue Roof, Agidingbi, Ikeja, Lagos on Thursday, January 26, 2017.